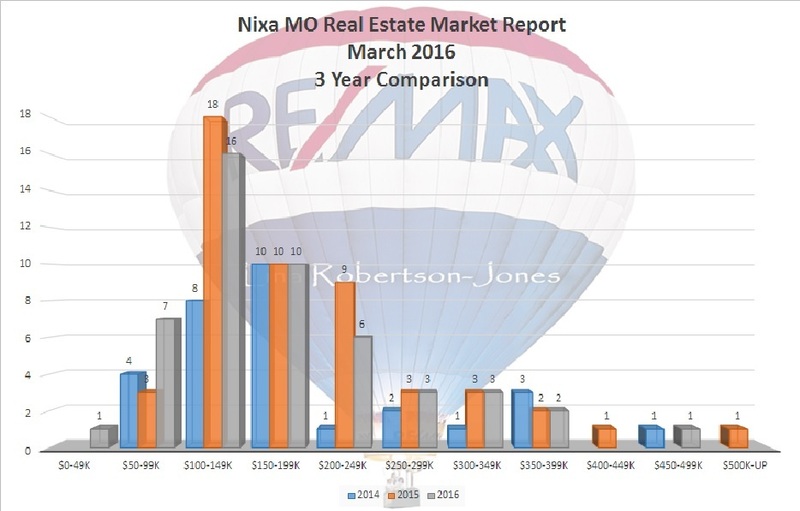 Below is the Nixa MO Real Estate Market Report for March 2016. 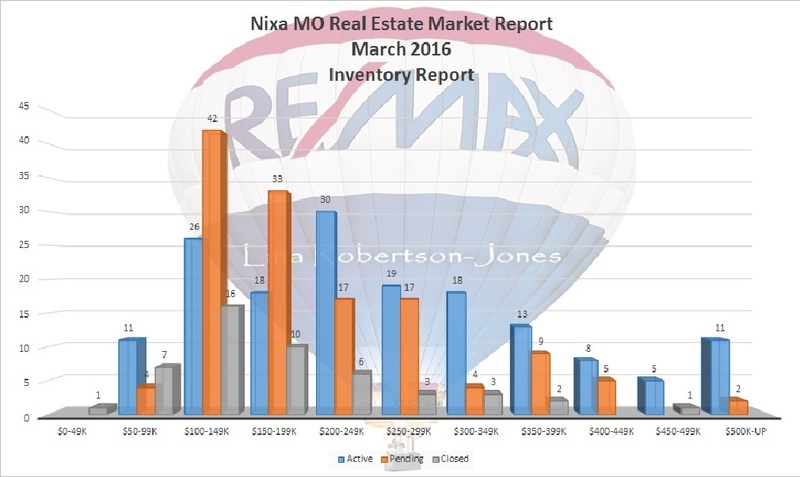 Pending sales on homes priced under $100,000 are down this month compared to February, but pending home sales are up in every other price bracket (except $450-500k). 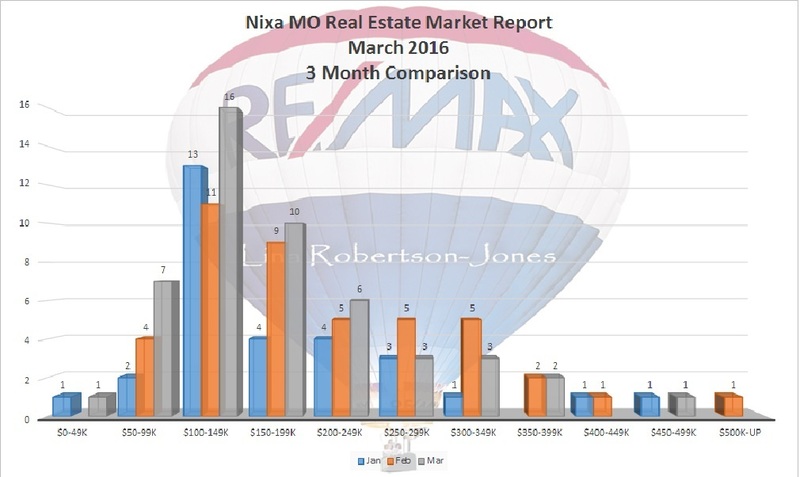 The surge of home sales in the $100-200K price range, with inventory levels reducing, should help bolster home values in this bracket, at least in the short term.